The IHA Conference Center holds up to 150 people and features a full wall of windows with views to the north. The conference center can be divided into two separate spaces. 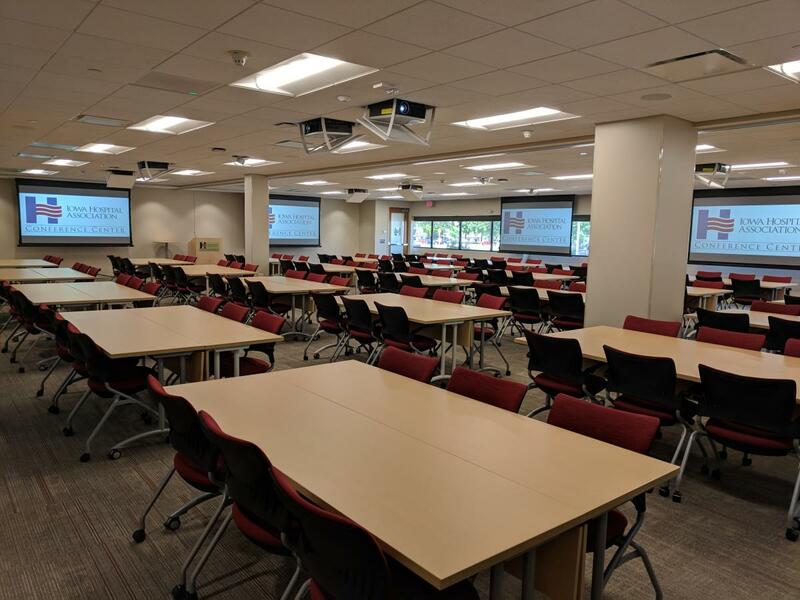 The north meeting room can hold up to 90 people and the south meeting room holds 60 people. A rolling sound-proof wall divides the spaces. This state-of-the-art conference center features complimentary Wi-Fi. 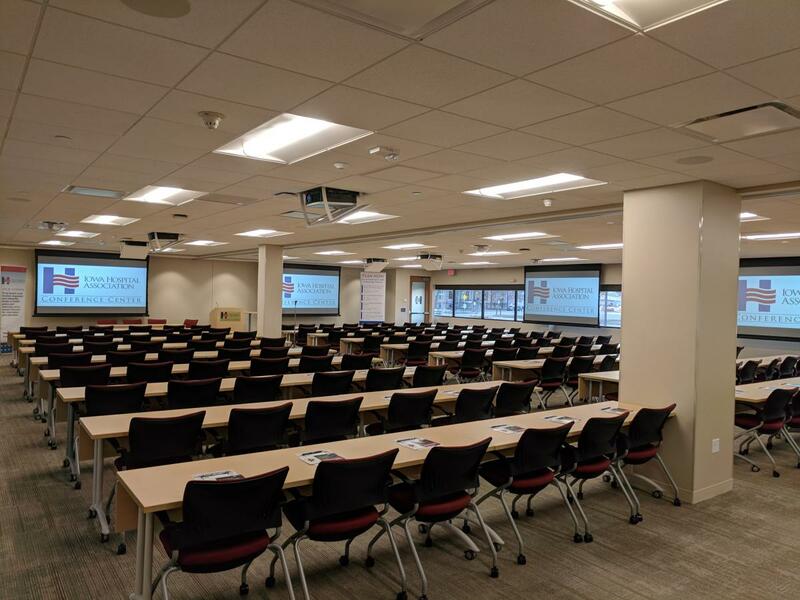 The projection display options on all sides of the conference center provide attendees an excellent view of presentations. The conference center features three podium placement options for optimum engagement. The room is equipped with a high-end integrated sound system. The pre-function area is lined with windows with views of a courtyard garden. This area can accommodate catering and registration needs. Description The IHA Conference Center holds up to 150 people and features a full wall of windows with views to the north. 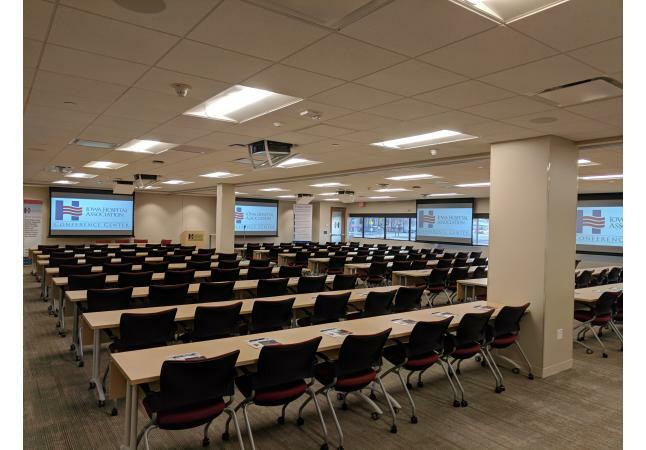 The conference center can be divided into two separate spaces. 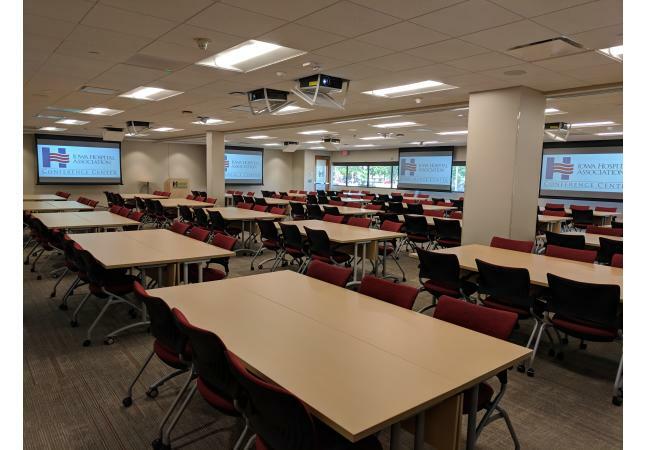 The north meeting room can hold up to 90 people classroom style and the south meeting room holds 60 people classroom style. A rolling sound-proof wall divides the spaces. Space Notes The pre-function can accommodate six table-top booths. Additional booths may fit inside the conference center.